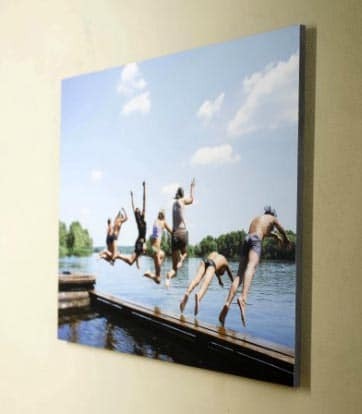 Your Photo Printed & Mounted To Foam Core (Gatorboard) For A Beautiful, Budget Friendly Look. Easy Online Ordering. Create Your Gatorfoam Art! Upload Photo. Choose Size & Paper Option. Easy! Why Choose Bumblejax Gatorboard Prints? All our products are created with quality, longevity and easy hanging in mind. Compare our foam core gatorboard prints to the competition and you'll notice we use thicker 1/2" gatorboard, print to professional paper (no direct printing), protect the print with a laminate and then add floating blocks and hanging hardware that allows you to get that modern floating look with an easy no tools required hang system. 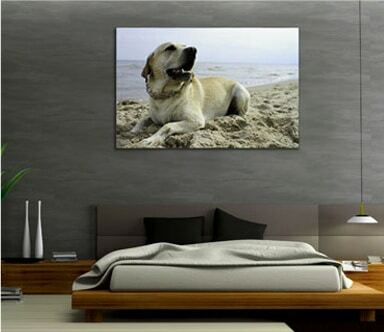 This is our most budget friendly option for creating your wall art. For those reselling their work, we don't recommend it since the corners are somewhat fragile. It's a nice option for tradeshows, presentations and home decor that won't move around. 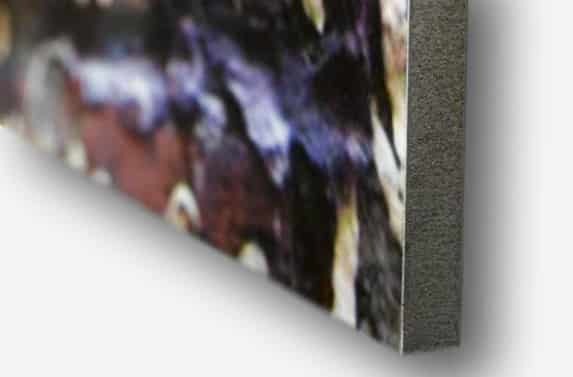 We can produce the gatorfoam mounts up to 96x48" and 48x48" square. 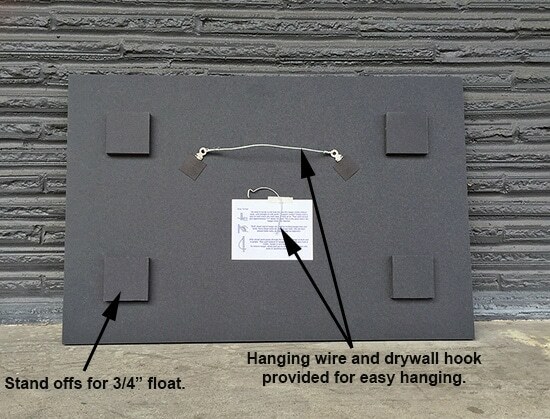 Your gatorfoam photo mount arrives ready to hang out of the box with included drywall hook. Floats 3/4" from the wall. Every gatorfoam photo mount is 100% handcrafted at our shop in Seattle. Stop by and say hi if you're local! Our carefully packaged photo mounts ship anywhere in the world. Only orders shipping within the US and Canada are available for online ordering. Appearance: softer, more matte finish. Sizes: any custom size up to 96x48" Hanging: Wire. We can do any custom size down to the quarter inch with a max dimension of 96" and a minimum dimension of 7". Square sizes are possible up to max of 48x48". How do I know my photo will look good at the size I want? First and foremost, rest assured knowing that we would never send out any order that looks fuzzy or pixelated. While our online order configuration engine does a good job determining the sizes available based on the resolution of the image, every order goes through a manual quality control check to ensure it will look great. If there is any issue, we contact you before printing. If you need a custom size we're happy to review your photo and let you know how large you can go! Just give us a shout. Rush: we offer a rush production option at checkout online which gets your order out in 24-48 hours for a 20% charge. We may not be able to do this for very large orders so please contact us before placing a large rush order. Rush: we offer expedited shipping options if you need them, but they can get expensive. For online orders, you have the choice of 3 day, 2 day and standard overnight shipping. If you need a different option such as Saturday or AM delivery contact us before placing the order and we can send you a custom pay link. We offer a Diamond Jet Photolustre paper which is a very nice paper and included in the base price of all our products. While it's a fine choice for any photo, the metallic paper upgrade (see below) is a terrific upgrade for many photos. The satin/lustre paper is typically recommended with photos where people are the focus (ie. family portraits) as well as softer, less vibrant images. We offer the best pigment inkjet metallic paper available which is the Lexjet Sunset Metallic paper. This is a nice upgrade for photos that are bold and vibrant and offers a bit more depth and pop to the image. The standard ground shipping price is 10% of the product price. Shipping to AK, HI or Canada is 25% of product price + $10. We offer expedited shipping options at checkout as well - 3 day, 2 day and standard overnight. Prices vary considerably and are listed online. While we take great care in how we package your art, shipping damage can occur (quite rare). Each package is fully insured by us. If any damage occurs we replace it immediately. Just take a few pics of the box and your photo mount. No need to send it back. We offer a simple online ordering system with several standard sizes available. Just upload your photo, choose your size, your options and checkout. If you see a size not listed in our online order system, you can contact us for a photo review, price and payment link. Soon, you will be able to order any size online!